AMSSM aims to encourage physician and patient conversations by identifying five tests or procedures to question, highlighting potentially unnecessary—sometimes harmful—care in sports medicine. NEW ORLEANS, La. 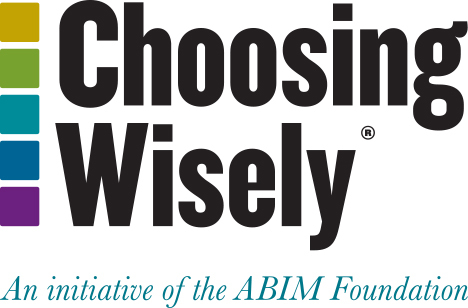 – The American Medical Society for Sports Medicine (AMSSM) today released a list of specific tests or procedures that are commonly ordered but not always necessary in sports medicine as part of Choosing Wisely®, an initiative of the ABIM Foundation. The list identifies five targeted, evidence-based recommendations that can support conversations between patients and physicians about what care is really necessary. Don’t prescribe oral contraceptive pills as initial treatment for patients with amenorrhea or menstrual dysfunction due to the female athlete triad (defined as low energy availability with or without disordered eating, menstrual dysfunction and low bone mineral density). The AMSSM Choosing Wisely list was developed after months of careful consideration and review, using the most current evidence about management and treatment options. For each item, evidence was reviewed from peer-reviewed literature and several sports medicine consensus statements. The goal was to identify common topics in the practice of sports medicine that, supported by a review of the literature, would lead to significant health benefits and a reduction of common procedures that can be unnecessary or cause harm. The list was initially generated and drafted by AMSSM’s Quality Measures Subcommittee and then edited and approved by AMSSM’s Practice and Policy Committee and the Board of Directors.